Concrete canoe racing began in the Netherlands in the '70s. There are typically over 40 boats in the field and races are run over a 100m, 200m and 400m courses. The 2007 competition, which marked the 30th offering, was hosted by the University of Twente and run in cooperation with the Netherlands Concrete Association (Betonvereniging). That year, ASCE and ACI sponsored the University of Wisconsin-Madison, winner of the 2007 National Concrete Canoe Competition, to compete on behalf of the United States. UW came away with awards for best construction for their design report and general canoe construction; and, best innovation for use of lightweight environmentally sound concrete to achieve great stiffness and strength. In the races, the Badgers took first in all but the women's endurance; a race that they did not place in. The 2016 BetonKanoeRace (concrete canoe race) will be held in Arnhem, a city and municipality located in the eastern part of The Netherlands. Details will be posted as soon as they become available. The BetonBrouwers from the University of Twente celebrate their victory. 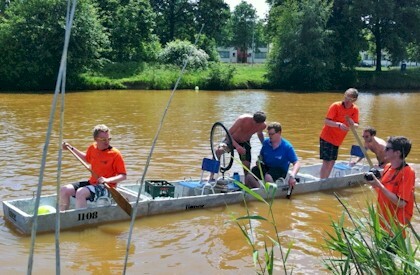 The 2015 BetonKanoeRace (concrete canoe race) was held in Rotterdam, a municipality and city in the Dutch province of South-Holland, situated in the west of The Netherlands and part of the Randstad. The BentonBrouwers ("Concrete Brewers'), consisting of four teams from the University of Twente, won the competition. De betonkanorace (BKR) internationaal evenement jaar which inzendingen uit Duitsland en Polen inbegrepen was echt. That is... The competition was truly an international event which included entries from Germany and Poland. 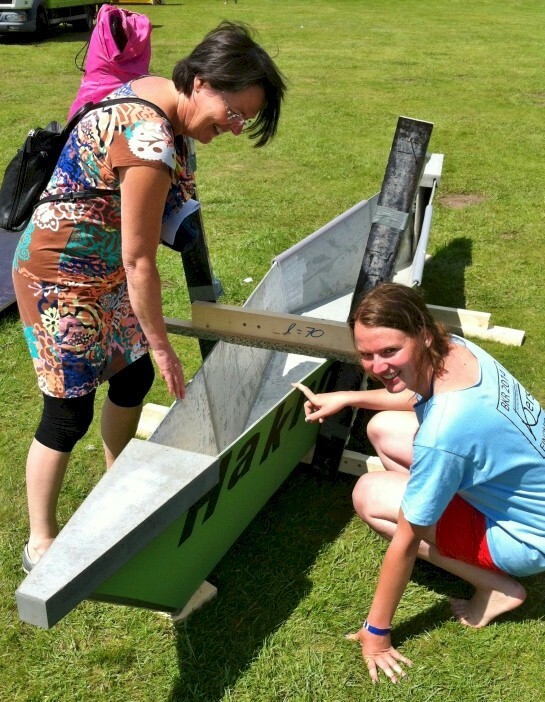 The 2014 BetonKanoeRace (concrete canoe race) was held in Almelo, a city located in eastern Netherlands. The 72,000 inhabitants of Almelo live in the rolling countryside of Twente, a region where the BentonBrouwers ("Concrete Brewers') from the University of Twente have become power players of concrete canoeing. They were the defending champions. The Netwerkschool hosted the event. At the competition, TU Dresden (Germany) won the award for best University while ROC van Twente Hengelo and Windesheim Zwolle were selected as the best MBO and HBO schools, respectively. Concrete canoe teams face off during the races. Photo by AlmeloNieuws. In addition to those given for the races, other awards were given for the lightest, heaviest, most innovative, and economical entries. Dresden had the lightest canoe (38 kg) while one of the entries from Twente was the heaviest (1178 kg). The heaviest entry was fielded by UT Twente. Photo by Peter Trench . The Innovation Award went to UT Eindhoven for building a canoe that folded flat to an area of less than 1 m2. The Netwerkschool Twente won the award for economy. UT Eindhoven built a canoe that folded flat. Photo by Peter Trench . The Utrecht Technical Association (UTV) hosted the event. The 2013 BetonKanoeRace (concrete canoe race) was held in Utrecht, the smallest Providence of the Netherlands, located in the center of the country. The BetonBrouwers from the University of Twente successfully defended their title. In the process, they scored 5 first place finishes and won the sustainability award. The BetonBrouwers from the University of Twente won the competition. Following the 2007 competition, the University of Twente went on to become the dominant player in Europe. 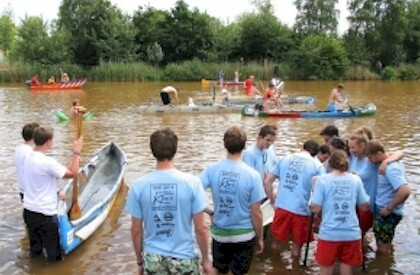 After the "BetonBrouwers" won the 2011 Beton Kano Race in the Netherlands, Twente went on to win the 13th Deutsche Betonkanu-Regatta in Germany (2011) and the 8th Concrete Canoe Challenge in France (2012). According to the information on their current website, the BetonBrouwers are not afraid to get their hands dirty. They combine their creativity, inventiveness, and concrete knowledge with fun to get the job done. Only real diehard Civil Engineering students with a heart of concrete, loads of motivation and a lot of persistence can become a BetonBrouwer! The team is from the constructive branch of ConcepT, the study association for Civil Engineering students at the University of Twente. You can read more about them here.